What to do about these superhero movies? I generally don't do anything until I see the DVD on the shelf at the library. Sometimes I can't bring myself even to borrow it for free (Ghost Rider), sometimes I borrow it and only watch the first twenty minutes (Superman Returns) and sometimes I borrow it, watch the whole thing and feel relieved that I didn't spend any money on it (Batman Begins). I may go see the Watchmen movie when it comes out, though. Not because I expect it to be great, but because I'll need to know how they decided to adapt it for the screen. The original comic is as uniquely a product of its medium as is, say, Chris Ware's work. Sure, you could make a movie out of an Acme Novelty Library storyline, but why would you? Because there's money in it. There wouldn't be, in an Acme movie, but Watchmen is a different story, and one with obvious commercial appeal. There's been some noise about how faithful the Watchmen movie is to its source, but the change of media dooms any attempt to go beyond a superficial fidelity. If you don't believe me, read the graphic novel and then check out the Annotated Watchmen. In other news, the Swedish vampire movie Let the Right One In is very good, though I wasn't as enraptured as many others seem to be. It's rating on imdb, 8.5/10, is too high. Citizen Kane's imdb rating is 8.6/10! I would give Let the Right One In a 7. John Woo's new movie, Red Cliff, is a decent historical action outing, but lacks subtlety and is much too long. At 140 minutes, it's only part one and ends with "To Be Continued". I'll be surprised if it gets much of a release here. The thirty-second Soundtrack of the Week is this CD of music from the Mighty Jack TV program. I only know Mighty Jack from the English-dubbed, re-edited feature that was used for a Mystery Science Theater 3000 episode. The music is by Isao Tomita and Kunio Miyauchi. I've enjoyed Isao Tomita's other work, such as the music for Captain Ultra and Catastrophe 1999: The Prophecies of Nostradamus. 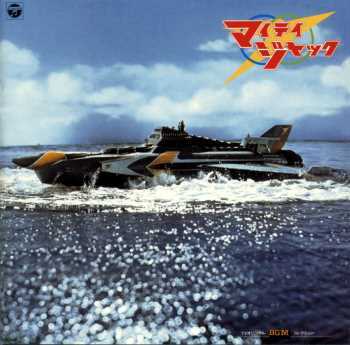 Kunio Miyauchi has apparently done a bunch of stuff for Ultraman, but I only know his music for The Human Vapour and a couple of Godzilla movies. 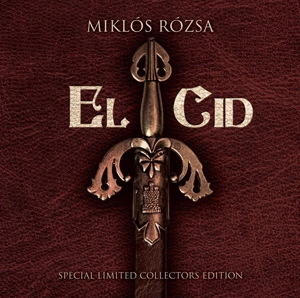 This CD presents 11 short suites of music, each one being, I presume, for a different episode of the series. 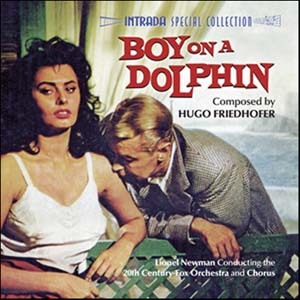 Some of it is in that military-march style that I can live without, but some of it is melodic in a way that reminds me of Alfred Newman and some of it kind of swings and features an excellent electric-guitar sound. 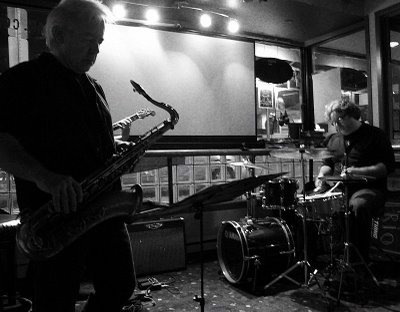 Andrew Forbes took this photo of Ed, Chris and me in Ottawa. I'm represented only by one of my hands and a bit of my guitar, but that's okay. Yet another handsome volume arrived in the mail the other day, Ray Harryhausen — Master of the Majicks Volume 2: The American Films from Archive Editions. 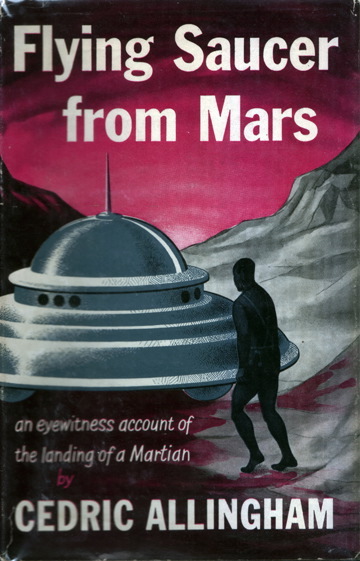 When I first heard about this book, I panicked. Why didn't I already have Volume 1? It turns out that Volume 2 is the first to be published. The plan is to publish Volume 3 second and Volume 1 third. This is fine. 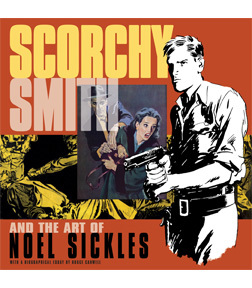 I'm still (slowly) reading the amazing new Library of American Comics release Scorchy Smith and the Art of Noel Sickles, so I've had to put this Harryhausen book on hold. 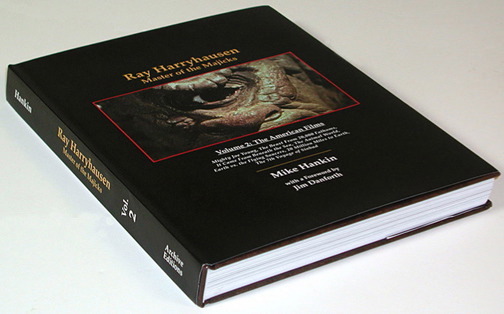 The Harryhausen book looks really great, though. I spent a few minutes flipping through it and was very impressed. 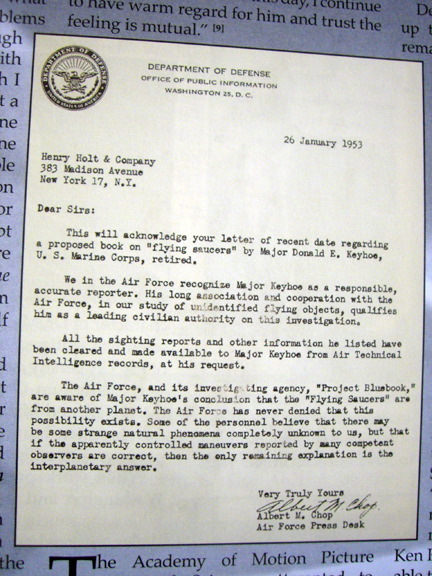 When I saw this reproduction of a letter from the Department of Defense concerning Project Bluebook and a book called The Flying Saucers Are Real, I got very excited, thinking, "I have that book!". The Allingham book I bought in San Francisco. 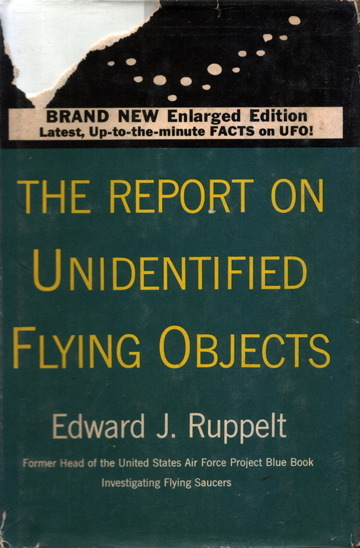 I can't remember where I got the Ruppelt book. 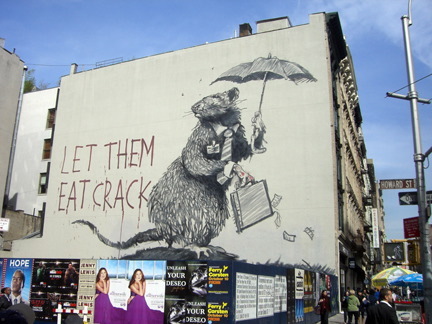 Spotted in Manhattan yesterday, a pointed comment on the current financial crisis. Sarah Palin? Yawn. Give me the South Carolina nominee for Miss Teen USA 2007 anyday. That YouTube clip comes with an extremely unattactive option: "View all 95,533 comments". The car chase in Bullitt is justly celebrated. 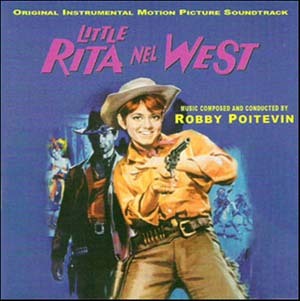 One of the things that makes it great is Lalo Schifrin's music, particularly the lack of it. He writes a prelude to the chase itself, as the two cars slowly drive around, preparing for the inevitable clash. The music stops and the click of a seatbelt fastener acts as the report of a starting pistol. From that point on, the sounds of the engines and tires are the music. It seems that few people think about not scoring scenes these days. One of the reasons I found Hellboy 2 to be dull was that Danny Elfman's score runs throughout, stopping only when Guillermo del Toro wanted us to hear a Barry Manilow song. That's how I remember it, anyway. [David Arnold] was scoring Godzilla [the really bad American one] and was told, "Oh, we'll need music here." Arnold was confused. "Wait a minute," he said, "we're in the streets of New York, it's raining, we've got Godzilla's footsteps, his breathing, there are screams from the people below, the sound of cars crashing, explosions - he's crushing cars and pushing over buildings, being attacked by helicopters, so we've got rotors, missiles, bullets as well as small-arms and tanks rumbling in from the street. . . . What on earth is the music supposed to do?" The answer came promptly: "Make it exciting." My brother sent me this link to Joey Baron solo. I don't spend a lot of time on YouTube but this is worth watching. Why isn't this multi-camera shoot of his performance available as a DVD? I would buy at least a dozen! In other news, Jesse Reklaw has a new book out, The Night of Your Life. His previous book, Dreamtoons, (now out of print) has long been one of our favorites. People tell Jesse their dreams and he makes comic strips out of them. 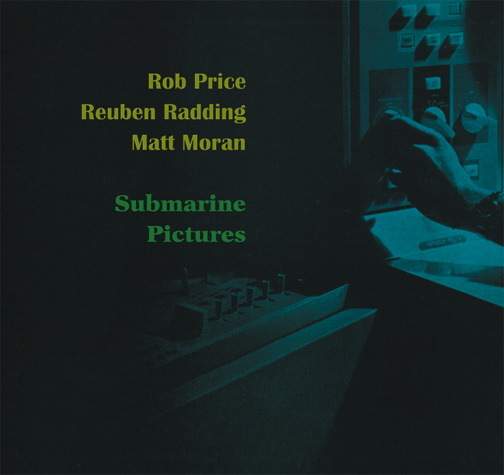 For a sample, look at his website, Slow Wave. 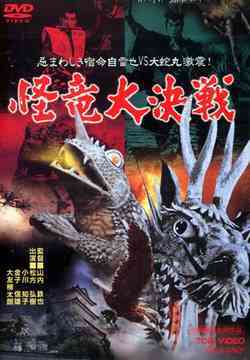 The Japanese movie Kairyu daikessen (Ultimate Dragon Battle, I think it would translate as, more or less) has several other titles (according to the Internet Movie Database): The Magic Serpent, Froggo and Droggo, Grand Duel in Magic, Les monstres de l'apocalypse and, my favorite, Ninja Apocalypse. If I had seen this movie twenty-five years ago or so, it would have changed my life. It begins and ends with scenes of combined ninja action and giant monster battles. In between is a lot of flying around, snakes turning into people, scrolls turning into snakes, explosions, throwing stars, giant magic glowing things and tons of other stuff. It's perfect for an afternoon when you've taken both cold and allergy medicines. In 1970 Tom Stoppard wrote a screenplay about Galileo. It never became a film, or a play, as Stoppard at one point thought it might. In 2003 Areté magazine published the full text of Stoppard's Galileo, and it is certainly worth reading. In the second scene, Galileo's student Cosimo asks, "Does it really matter whether the sun moves round the earth or the other way round?" Galileo replies: "Matter? Not to the earth or the sun — but there are interests, in Rome, for whom a moving earth is a threat to stability… just another planet, whirling through space, no longer the apple of God's eye — you see? When dogma prevails over truth, it matters, yes." 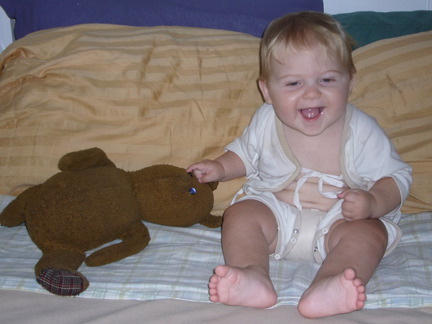 That's Dexter with my old teddy bear. On the subject of books, this comic from xkcd expresses my own feelings rather well.